Hi everyone! I am so sorry I have not been able to post very often. I am trying my best to get these posts done. Hopefully things will calm down soon and I’ll be able to get more posts done! 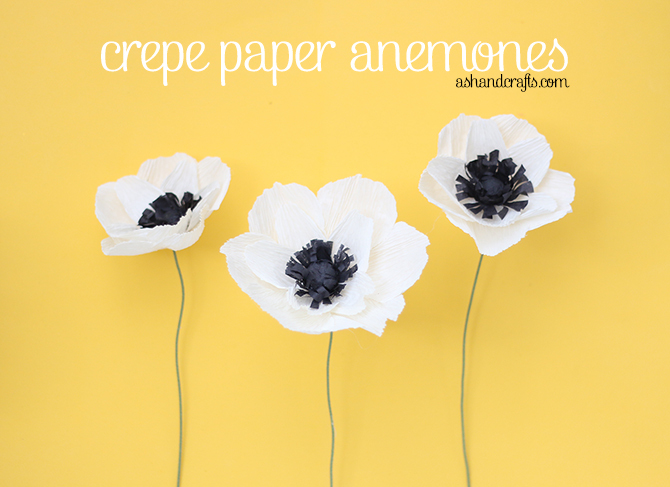 For today’s post, I have this tutorial on how to create these fun crepe paper anemones. This is a very easy tutorial. 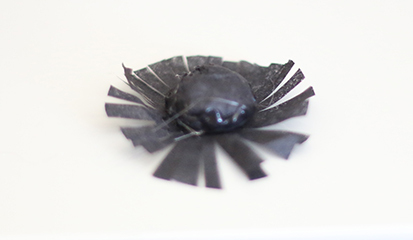 You could probably even do this with tissue paper, though crepe paper would be best because of the ability to stretch and form a cup. 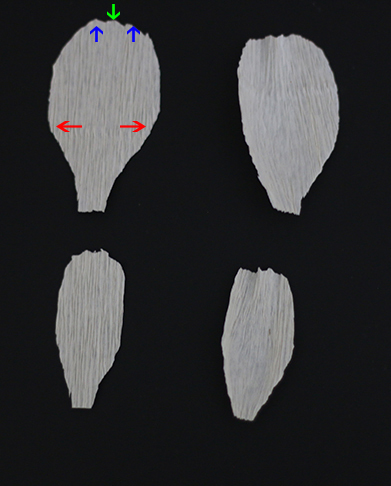 Using the pad of your thumbs, stretch the petal at the base (red arrows) to create a cup shape. 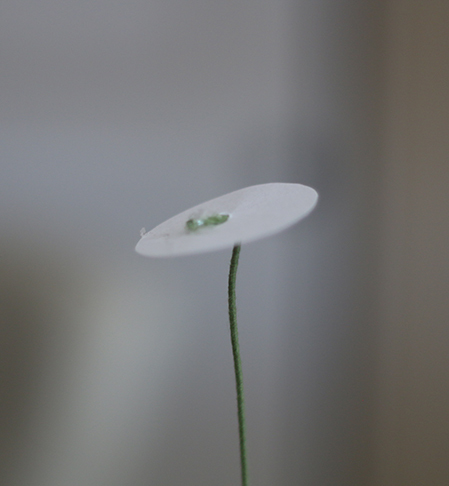 At the top of the petal, create a ruffled effect by holding the edge of the petal like you’re going to rip it, and twist the paper, so that the blue arrow moves away from your while the green arrow moves towards you. Repeat the step above for all the petals. 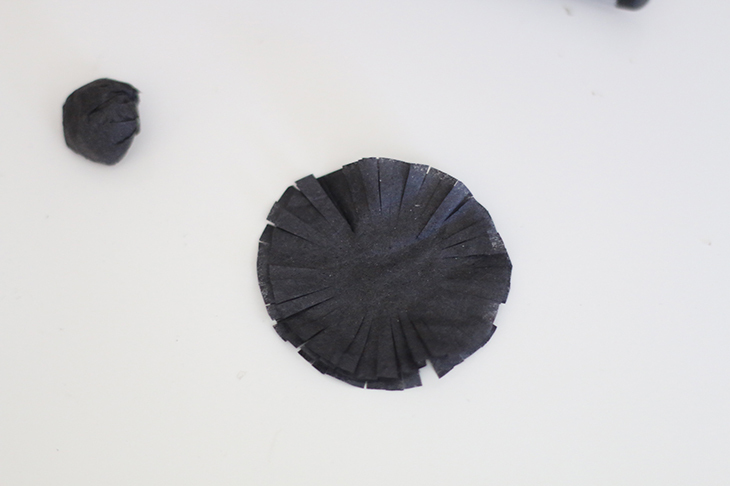 To prepare the base, take your piece of cardstock and cut it into the shape of a circle. Mine is approximately .75″ in diameter. Poke your stem through the center of the circle and bend the wire at a 45 degree angle so it lays flat on the circle. This is what it should look like. Use your hot glue gun to secure the stem in place. Now you will work on the flower. To hold the stem, you can stick it into a piece of foam, or just bend the wire and tape it to the desk temporarily, as I did above. 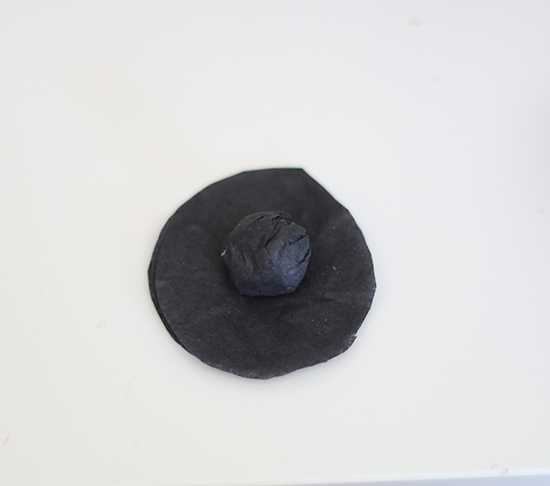 Begin gluing all the wide petals to the circle base. 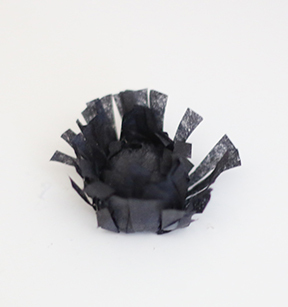 To create the center, take a piece of black tissue paper and roll it up into a ball. 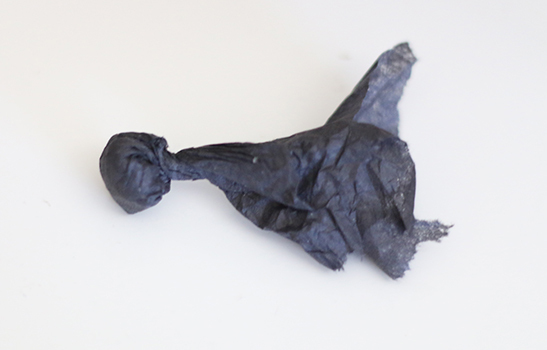 Take another piece of black tissue paper and wrap it. Twist the ball and cut off the excess. 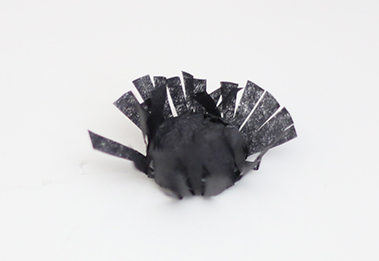 The goal is to create a small black ball for the center. 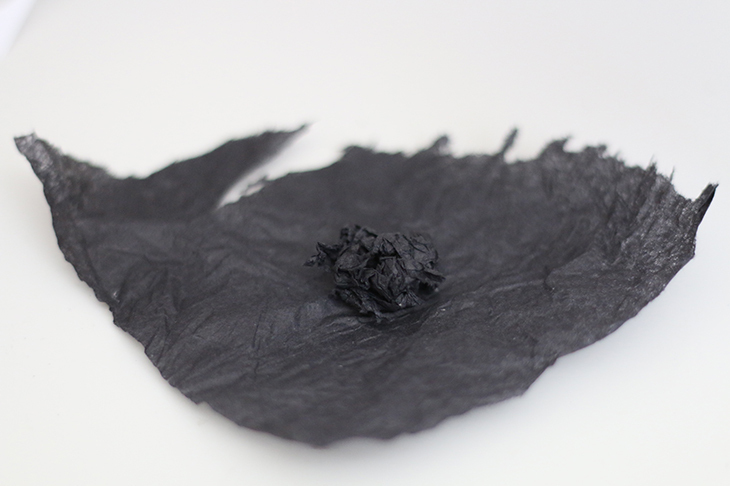 Cut 2 layers of black tissue paper that is about .5″ larger than the ball you created. Cut a fringe around the edge of the circle. 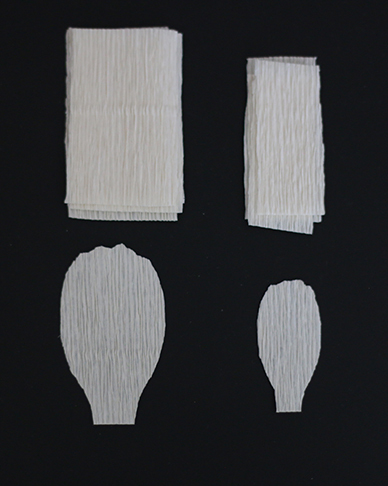 For the first layer, apply glue to the edge of the ball and fold the fringe up to stick to the center ball. It should look like this once you have folded up the fringes. 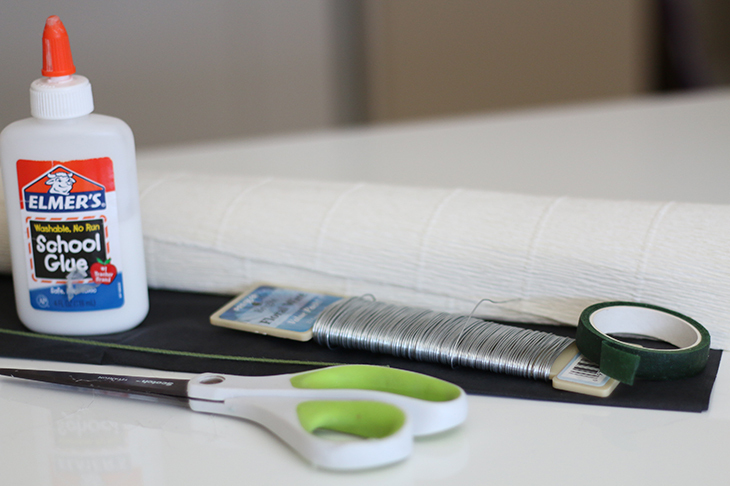 For the second layer, apply some glue to the center and attach, but you do not need to apply glue to the edges before folding the fringe up. 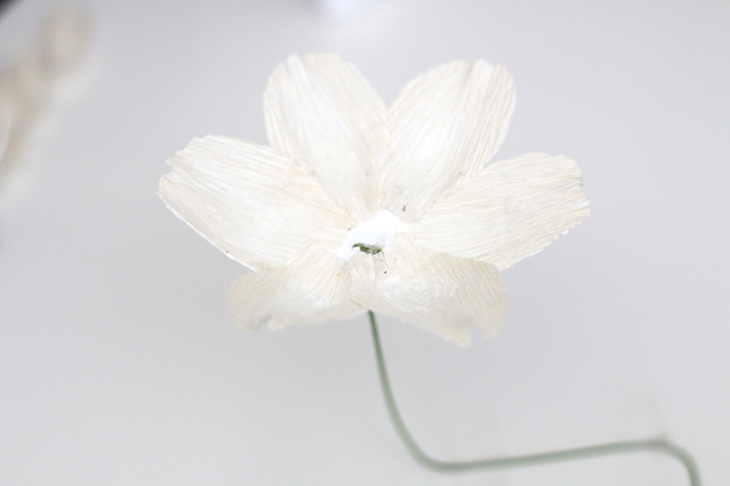 Glue the center to the flower. 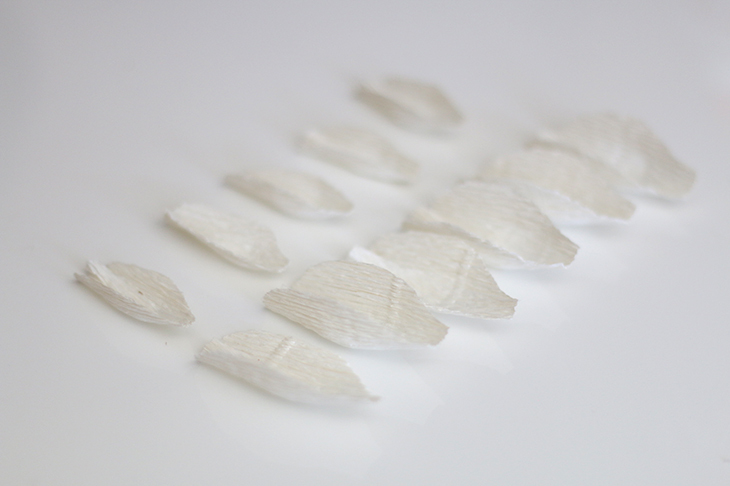 If you did not stretch your petals like I did, now is the time to stretch the petals and make sure the edges are overlapping and glued. 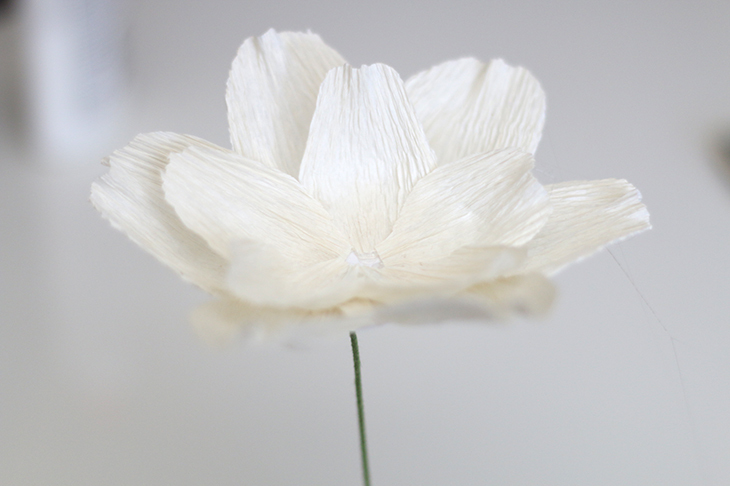 As you can see from this picture, there is less space in between the petals. That’s all there is to it! 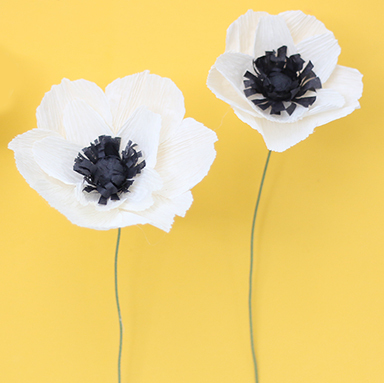 Now photograph your anemones in front of a fun, bright background and enjoy! I hope you liked today’s tutorial. If you have any questions, please feel free to ask me! If you decide to give this a go, I’d love to see your work! You could also tag me as @ashandcrafts and Twitter or Instagram if you decide to post it! These are so cute!! 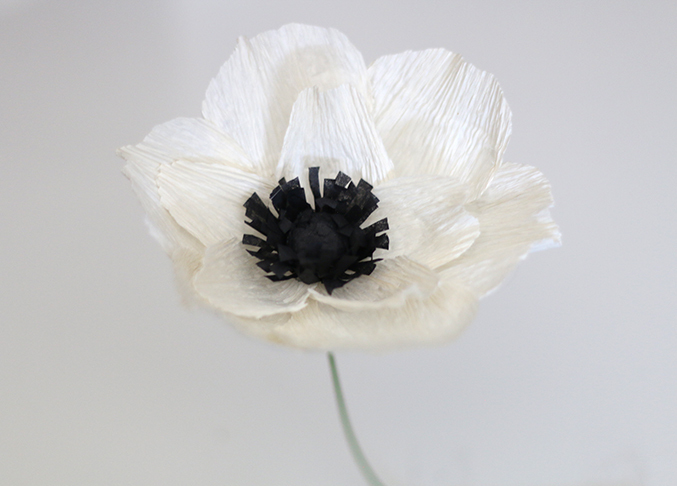 I am actually looking for some fake flowers for our apartment as we have a cat and there’s a high chance she would just eat the real ones… I will definitely give these a go! Thanks Lauren! I’d love to see them if you do decide to make them! 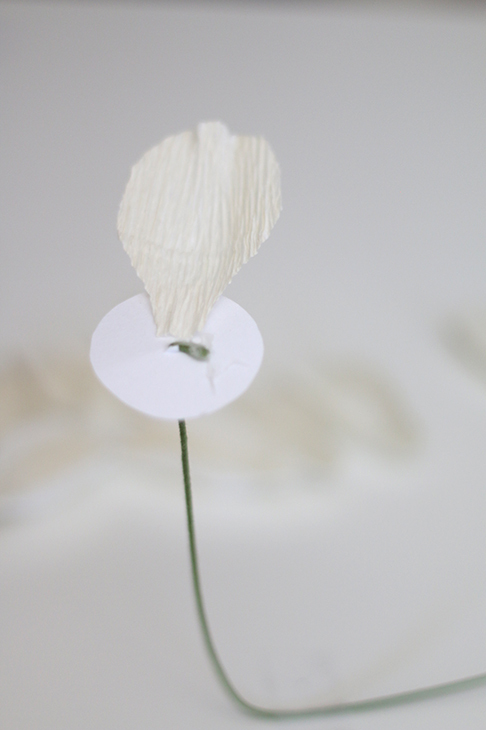 So pretty!I love all the flowers you’re creating with paper. These are so lovely! I like how delicate they look. These are sooooo BEAUTIFUL !! Omg, thanks so much Winnie! I love all your yummy recipes! So, pretty! Thanks for stopping by my blog and commenting on my garden post, though it seems you didn’t know I was one of the Merry Monday co-hosts, too! Have a great week! Thanks a ton Ash – really great = loved reading and lapping all the information provided in the tutorial. Hope I can share my work with you?